Are you thinking about shoulder replacement surgery? If so, you may be wondering what the scar might look like. This is the scar from my shoulder replacement surgery, four weeks after the surgery. 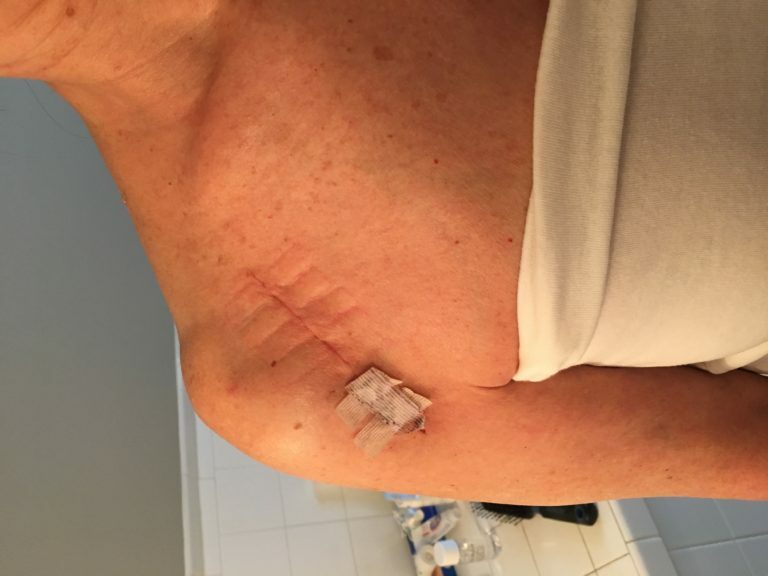 This is the scar from my shoulder replacement surgery, six months after the surgery. To care for my scar, I massaged vitamin e cream and castor oil (there are also many scar creams on the market with lots of information online) into the scar as soon as it was healed, using as much pressure as I could tolerate. I also rolled a tennis ball in a clean sock into the scar at least once a day. 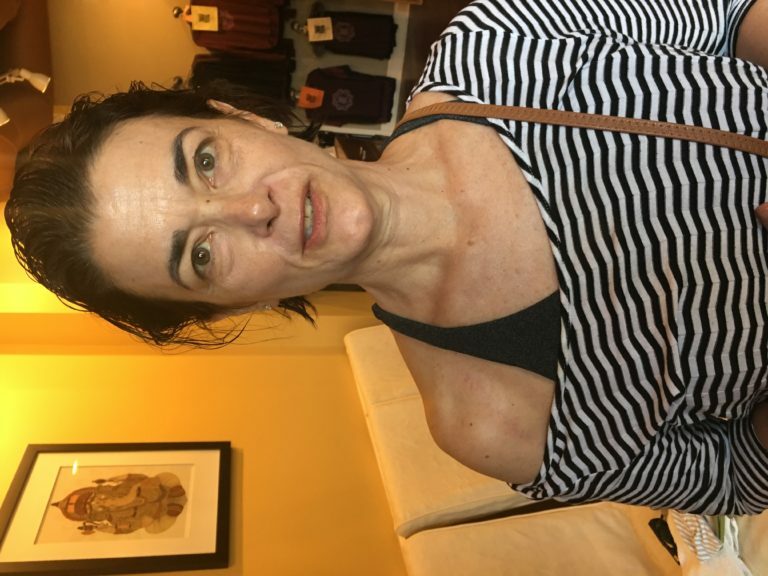 Elyssa Bourke, DCM, one of the Universal Design Yoga teachers also worked on the scar. Today, only a very small part closest to my elbow is still sensitive and I continue to work on it and heal my body.